New Zealand is the perfect place for adventure lovers, and nature lovers. Nonetheless, the North Islands seems to be underrated by many travelers, with many leaving for the South Island straight away. But also the North Islands of New Zealand has many beautiful things to offer, and one of those beautiful things is Taranaki. Taranaki is an area located on the West coast of the Northern Island, and has some of the most beautiful views the North Island of New Zealand has to offer. Intrigued? 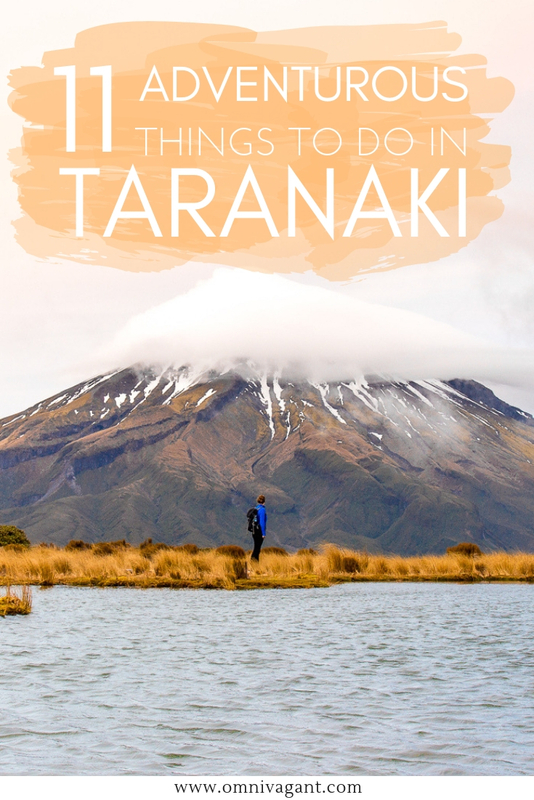 Keep on reading about the most adventurous things to do in Taranaki and New Plymouth! Taranaki is a coastal and mountainous region located on New Zealand’s North island. Taranaki is popular with both local and foreign tourists, all with the same reason in mind: to witness some of New Zealand’s beautiful nature. 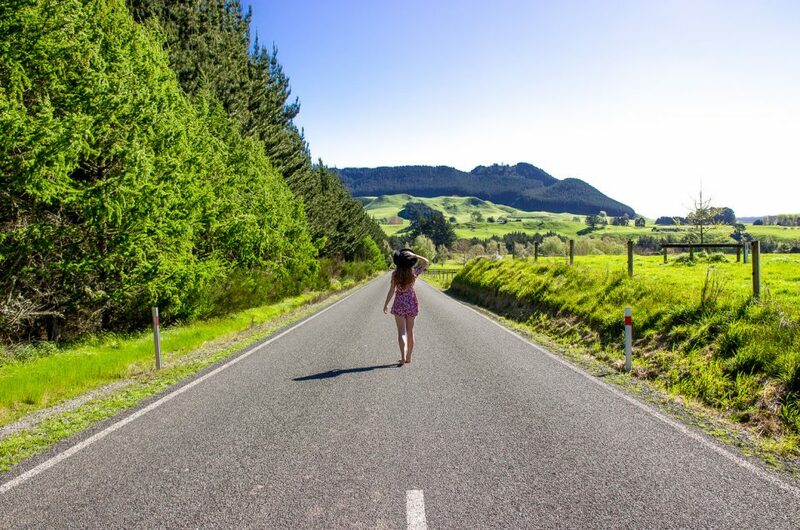 Taranaki is roughly a 5 hour drive from Auckland, making it the perfect getaway for a weekend trip! To give you a better idea where Taranaki and Egmont National Park are located, check out the map below. There are a large number of towns and places where you can stay, however, staying in New Plymouth means easy access to a number of things: restaurants, supermarkets, and tons of things to do in the town it self. From New Plymouth as a base it will be easy to explore Taranaki and Egmont National Park. Here are a couple of options for your next visit! 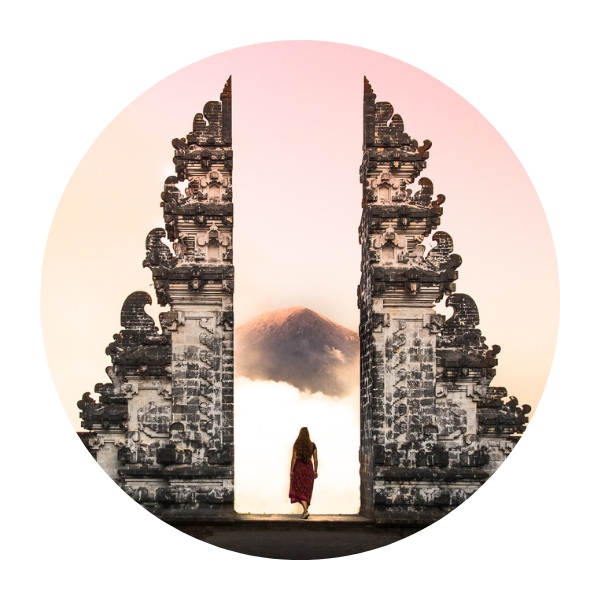 Hostel – Are you a backpacker making your way around the country? You will most likely be looking for a hostel to stay at, preferably once with dorms to cut down your costs. Luckily, as New Plymouth is a big tourist destination, there are a number of hostels that you can pick from. Check out all hostels in New Plymouth here on Hostelworld! 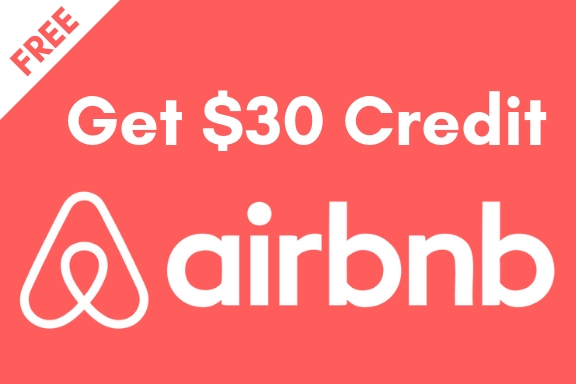 Airbnb – Airbnb is a great tool that find affordable and high quality accommodation in New Zealand, and also in the Taranaki region there are plenty of Airbnb’s available. From studio’s to private chalets, Airbnb offers it all, with a large price range they have something for everyone. Check out the Airbnbs in Taranaki here. And to make it even better sign up here now for AirBnB and receive a 30$ discount on your first booking that is over 80$! Hotels – If a hostel or Airbnb is not for you, opt to book a hotel instead! Booking.com has a large offering of budget and luxurious accommodation in New Plymouth and the Taranaki surroundings. 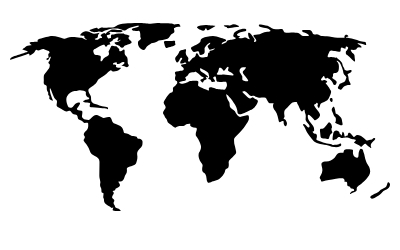 Find the perfect hotel that matches your need of the ideal accommodation, or simply browse using the map below! If you don’t have a Booking .com account yet, sign up here now and receive a 15$ credit! Got your hiking boots and your camera ready? 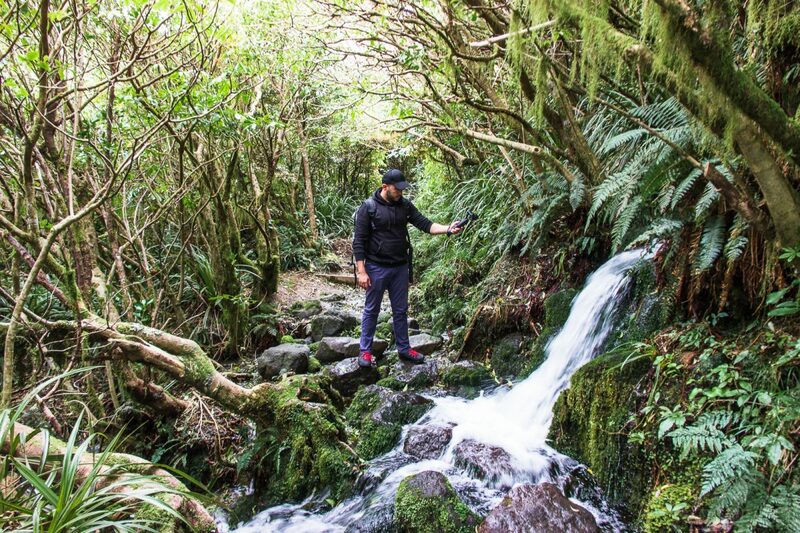 Egmont National Park, and the region of Taranaki, is quite the adventure from walks to hikes conquering Mount Taranaki, there are enough things to do here to keep you busy for weeks. 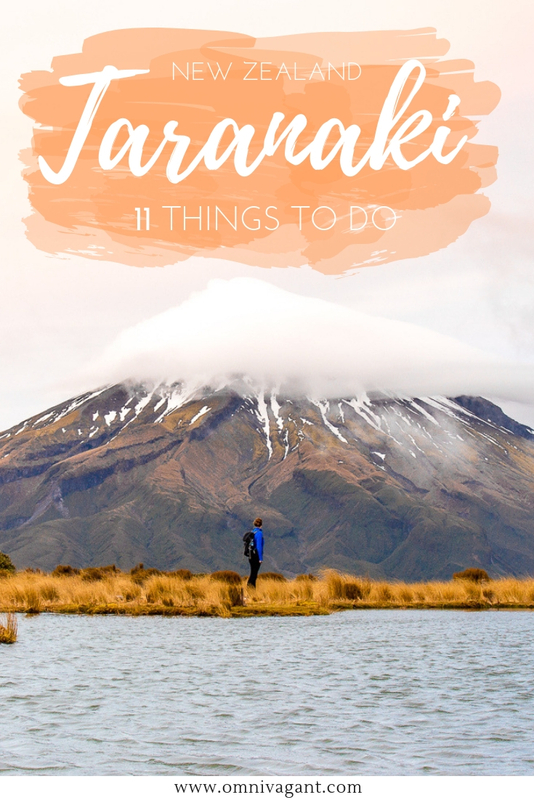 Read below our favorite things to do in Taranaki! The Wilkies Pools loop track is the perfect hike for anyone who is looking to do a smaller hike, perfect for a sunny sunday morning for example. The first part of the hike is easily accessible and will take you through a goblin like magical forest until you reach the Wilkies Pools. The walk to the Wilkies Pools is rather short, 20 min, but continues to a slightly rockier road after the Wilkies Pools. This road will take you along small waterfalls and streams, before you will have to rock hopping across Kapuni Stream to complete the actual track! Wilkies Pools Duration – The hike to the wilkies pools is only 20 min, it will take you roughly 1h 20 min to complete the full loop. Wilkies Pools Difficulty – The track itself is rather easy, especially up until the Wilkies Pools. After that the pool becomes a bit more slippery and some rock hopping across small waterfalls and the Kapuni Stream will be required. Wilkies Pools Access Point – You can enter the Wilkies Pools Loop from the Dawson Falls Visitor centre. For more information about hikes and tracks from the Dawson Falls Visitor Centre click here! 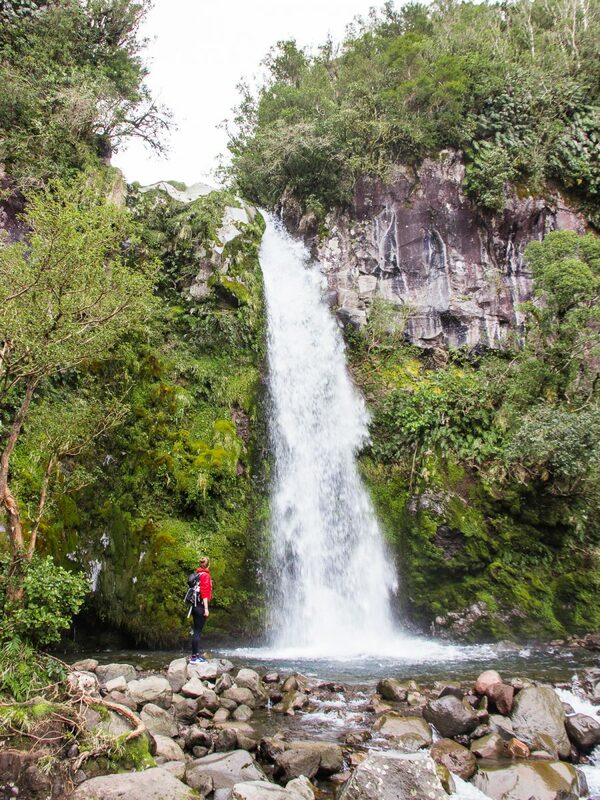 While the waterfalls on the Wilkies Pools loop are rather small, and while nonetheless still beautiful, there is another waterfall that should be on your Taranaki itinerary: Dawson Falls. An 18m high waterfall that can be reached by a 1 hour loop, taking you from the top, with a spectacular view of the waterfall, to the base of the waterfall. The path down to the waterfall is quite easy, but can be slippery, so be sure to be careful! Dawson Falls Difficulty – If you are planning on hiking all the way down to the waterfall expect to go up and down some slippery steps! Dawson Falls Duration – The loop will take you roughly 1 hour which will guide you along the viewpoint and to the base of the waterfall. Dawson Falls Access Point – The Dawson Falls can be accessed from the Dawson Falls Visitor Centre where your car can be parked and signs guiding you along the route are available. The Cape Egmont Lighthouse marks the most Western point of the Taranaki region. 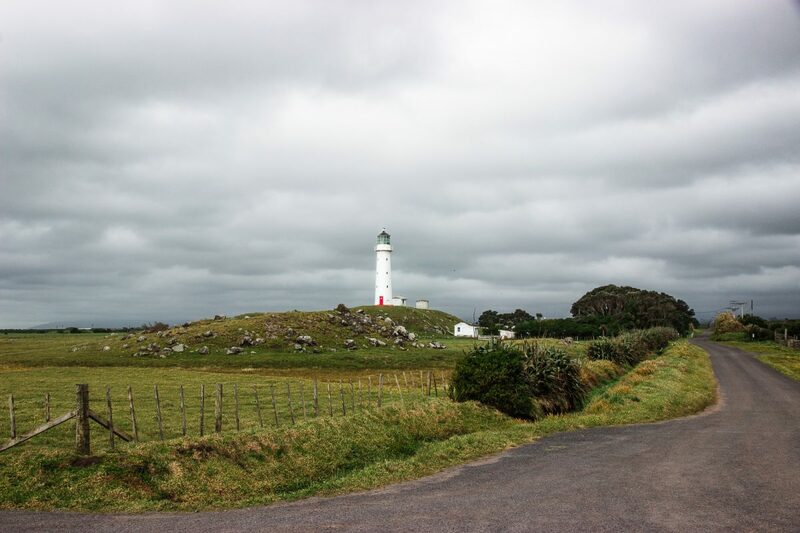 The lighthouse has been shining its light since 1881 and on a bright and sunny day, visiting Cape Egmont Lighthouse will provide you with not only a beautiful ocean view, but also the view of the lighthouse with Mount Taranaki standing tall as the backdrop. The Cape Egmont Lighthouse is a perfect stop if you have some extra time to spent in Taranaki, and are looking for some of Taranaki’s most beautiful views. If there is one day hike that should be on your Taranaki itinerary, then it should be the Mangorei Track to the Pouakai tarns. The Pouakai Tarns, as can be seen on the photo below, is one of the most iconic and famous views over Mount Taranaki, but to get there, requires a bit of effort. 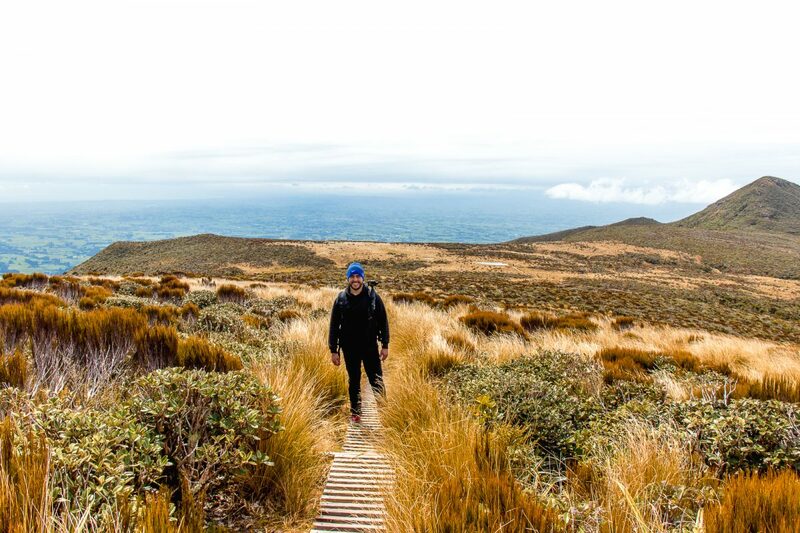 The Mangorei track is a 5km long hike taking you slowly up Mount Taranaki to Pouakai Hut. 5 Minutes past the hut you will find some stunning views over Mount Taranaki, and another 10 min will take you to the Pouakai Tarns. Mangorei Track Duration – The track is roughly 5km from roadside till the Pouakai hut, which will take a rough 4 to 5 hours to get there and back. Pouakai Hut to Tarns – From the hut it is another 15 min to the tarns, but be careful as this part of the track can get muddy and slippery. Pouakai Hut Overnight – Rather see the Pouakai Tarns at sunrise? Stay the night at the Pouakai hut! Find all information on staying at the Pouakai hut here. Mangorei Track Condition – The track can be quite slippery and muddy, wearing a pair of hiking boots is advised. Find more info on the Mangorei Track here. Mangorei Track Parking – There is only limited car parking available on the road side, hence best to show up early! 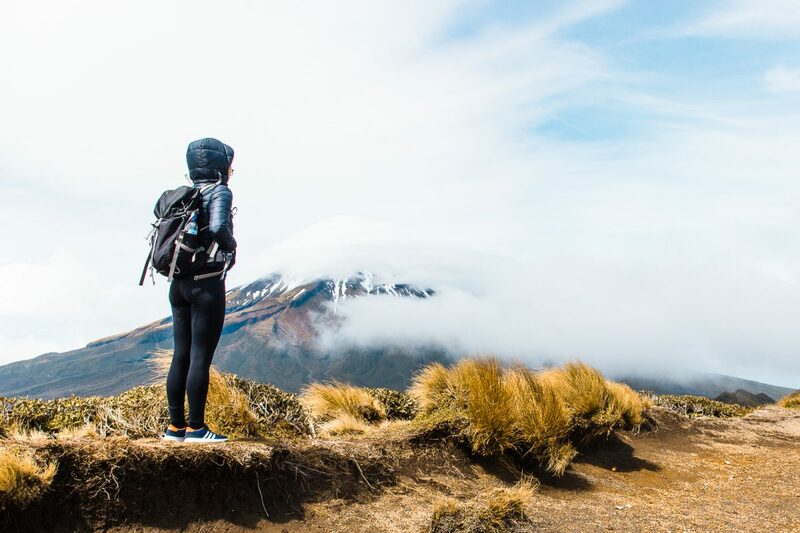 For the real dare devils and adventure lovers, there is the option to climb to the summit of Mount Taranaki, while it will take a rough 5 to 6 hours to get to the top, it does require you to have an advanced level of hiking skills and hiking equipment. The summit, 2518m high, will offer spectacular views for those that do make it to the top. It is best to climb to the summit in summer, as during winter and spring a large amount of snow and ice covers the higher levels of the mountain, requiring you to have mountaineering experience. For the full info on climbing to the summit of Mount Taranaki check out this info here of New Zealand’s Department of Conservation. 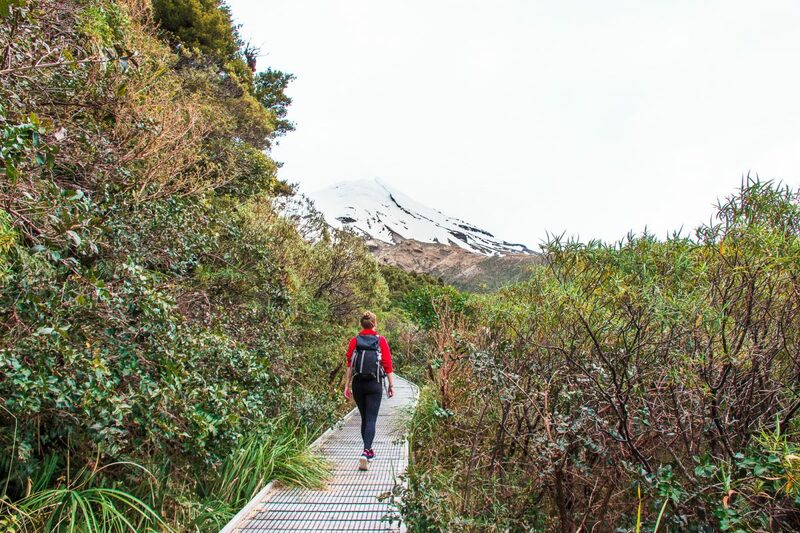 Mount Taranaki Summit Difficulty – This hike should only be done by experienced climbers, with good weather during summer, and who have access to the right equipment. There is an ice crater all year round which has to be crossed to reach the summit. More information on the difficulty and equipment requirements here. Mount Taranaki Summit Duration – The climb will take a rough 5 – 6 hours to the summit, and another 3 to 4 hours back down. Mount Taranaki Summit – Be sure to be respectful when reaching the summit of Mount Taranaki as Mount Taranaki has a great spiritual significance to local Maori. So don’t litter or camp on top of the mountain, and don’t stand on the summit stone. 1. Coastal Walkway – An award winning walkway, how can you leave that of your New Plymouth itinerary? The coastal walkway is a 12.7km walkway that runs through a number of bridges and stretches along the coastline of New Plymouth. Put on your walking shoes and be prepared to find some of the most stunning views of New Plymouth! 2. Te Rewa Rewa Bridge – The Te Rewa Rewa Bridge is New Plymouths most beautiful bridge, and is in fact one of the bridges on the Coastal Walkway. Another reason to go and see both. The bridge is a piece of unique and stunning architecture, and on a bright and sunny day you will be able to spot Mount Taranaki from the bridge. 3. Pukekura Park – A park located within walking distance from New Plymouth’s city centre, and often considered New Plymouth’s pride and joy. Take a walk through the parks many walkways, along lakes and water fountains, offering some of the most spectacular and photogenic views of New Plymouth! 4. Go Surfing – An adventure that cannot be left of the adventurous New Plymouth and Taranaki itinerary. If there is one thing that New Plymouth is known for, it’s that it is a great surfers destination. Rent a board and head to Back Beach or Fitzroy Beach to ride those amazing waves. 5. Lake Rotomanu – Lake Rotomanu is a place that deserves a visit on its own. The lake is popular among locals for several water sports such as fishing and water skiing, but on a clear day it will offer a great view of Mount Taranaki. So if you are visiting on a sunny day, be sure to add Lake Rotomanu to your Taranaki itinerary! 6. Paritutu Rock – Last, but definitely not least on the list of things to do in New Plymouth is climbing Paritutu Rock. While the climb up Paritutu Rock is steep and challenging, you will be rewarded with a beautiful view over the Sugar Loaf islands. So if you have some energy left after a long day of exploring New Plymouth, you might want to add climbing Paritutu Rock to your New Plymouth bucket list! The best view of Mount Taranaki, pin it! 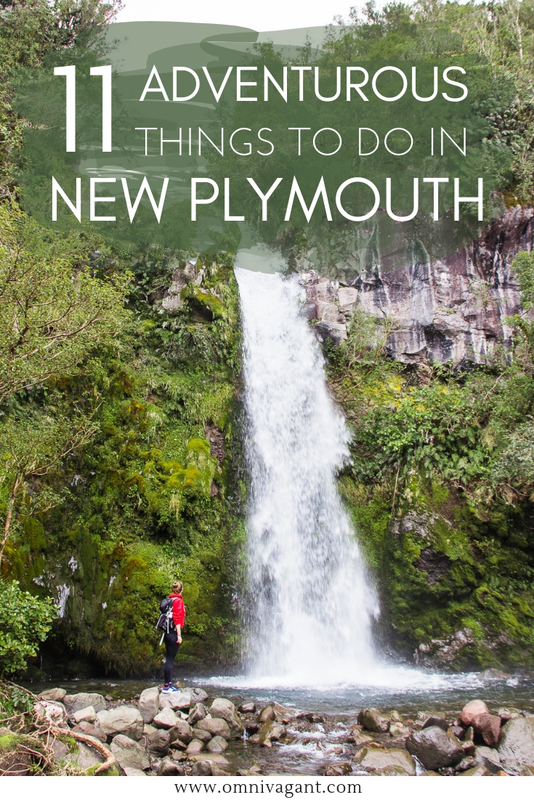 And there you have it, 11 adventurous things to do in Taranaki and New Plymouth. 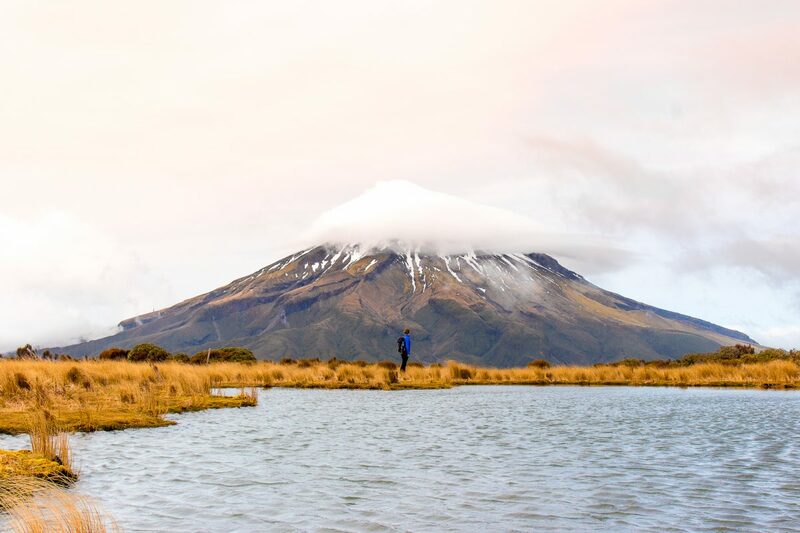 It doesn’t matter what you do in Taranaki or New Plymouth, you will be guaranteed a beautiful view over Mount Taranaki, but in the end our personal favorite view over Mount Taranaki will be from the Pouakai Tarns. Any comments or questions left? Or perhaps planning on visiting New Zealand on a Working Holiday Visa, be sure to check out our complete Working Holiday Visa Guide! Be sure to ask us in the comment section down below. And oh, don’t forget to pin it!